8 Reasons Why Your Business Needs SEO Services to grow. If you thought SEO was extinct, think again! This article goes out to all the company strategists in Melbourne who thought search engine optimisation was so passé. In today’s digital era, the viability of SEO as a solid online marketing strategy is widely undermined. Why? The main reason cited behind this careless assumption is the misinterpretation of this term. In light of this digital marketing blunder, we serve to highlight not 1, not 2 but 8 major reasons why SEO can get your business qualified leads and customers! Before we tread further, let’s explore the most acute meaning of this term to establish why it’s almost mandatory for a business, especially Small Medium Enterprises (SME’s) in Melbourne. 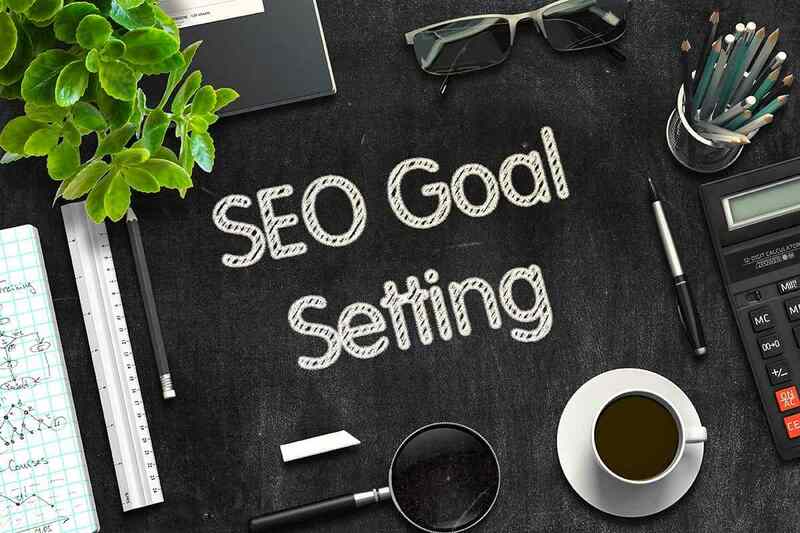 SEO, short for Search Engine Optimisation is a set of guidelines that the owners of websites can follow to improve the ranking of their material in organic search engines. Easier said than done? Let’s excavate some of the popular SEO services that render this possible. 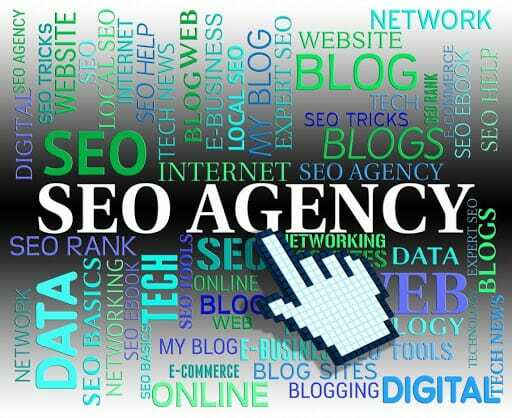 There is a wide array of SEO agencies offering SEO services in Melbourne. This widespread increase of SEO agencies is due to the increasing power of the internet, social media and usability of mobile phones that has rendered TV commercials and newspaper ads somewhat obsolete. When half the world is operating online with search engines influencing the buying choices of consumers, it only makes sense that brands strive to improve their search engine optimisation. Let’s look at some of the ways through which this is done. SEO without keywords is an incomplete phenomenon. Taking the example of the most popular search engine, Google receives around 40,000 search queries every second. Can you imagine the power of the internet? Most of these searches will see certain relevant keywords that will produce the most relevant results. If your website is offering something relevant to what the user searched for but is devoid of those magic keywords, it might not appear higher on the search engine, making you lose out on an opportunity to gain leads! As a result, you lose a shot at acquiring potential customers and consequently sales revenue. Google Adwords is a useful tool for identifying the most popular and relevant keywords that should be organically embedded in your content to score higher on search engines. In the image above, upon searching ‘SEO agencies Melbourne’, the list of keywords produced at the end of Google shows the most searched and popular keywords that you might want to add to your content. Linking is a process whereby your page or website is linked to by another website, establishing legitimacy and accuracy of your content. The more established the website linking to your page, the higher your website will appear on search engines. While Link Farming is not a viable method anymore, ensuring your site is linked through from your social media can prove helpful. For more information on this, contacting a reputable SEO service agency in Melbourne will be supremely beneficial! Simple, right? But how can this seemingly minute alteration make a hefty difference in boosting the sales revenue of your business? As shown in the image above, linking to your social media pages can create customer loyalty and pave the way for greater marketing. If you’re even a tad bit confused, these 8 reasons will prove the effectiveness of SEO for your business. Marketing is expensive, but SEO is not! In light of its effectiveness in relation to it cost, it’s a steal for companies. SEO is a marketing strategy that targets users actively looking for products and services relevant to yours online. They might search keywords that are applicable to your content too. As a result, no money is being wasted on targeting people who are not even particularly interested in purchasing from yours or other similar brands. 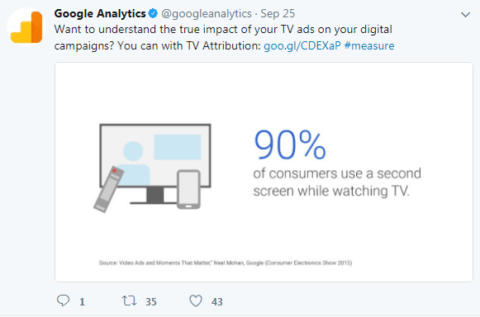 This targeted marketing saves money and proves to be more effective in driving sales than a random TV commercial or print ad that will cost twice as much with no guaranteed effect. Statistics show that lead generation in cold calling is 61% more than lead generation through SEO. When you can acquire more qualified leads in lesser cost than that incurred by traditional marketing, SEO proves to be more cost effective. Now you do the math! 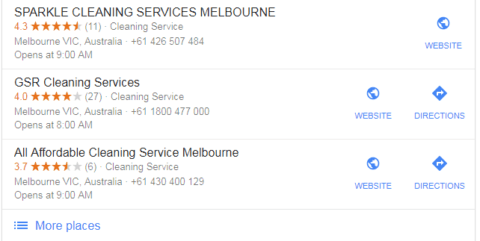 The companies in the image above are all cleaning services that pop up only when their services are required. Hence, a person would be more likely to click on one of these than if they appeared as a random TV commercial or print ad. Let’s suppose you have a great website up and running. If customers are not aware of it, is there any use of it? Absolutely not! This is where SEO services step in. SEO increases brand visibility, making customers aware of your specific company. You website is the first source of contact with your potential customers and SEO will guide them towards it. SEO allows your business to be noted. If a user searches for a keyword that pertains to your business, unless it appears in the search engine, the user will remain clueless about your brand, no matter how great its services are. Moreover, linking your website through your social media or vice versa allows customers to like, share and follow, unintentionally informing other users of the existence of your brand. Therefore, SEO can be a great way to make your brand known, an imperative step leading to sales revenue and growth. 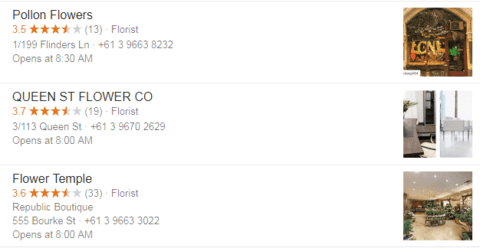 It is highly possible that a citizen of Melbourne doesn’t know about these flower shops. Upon searching, the user will be made aware that these 3 shops exist, increasing their chances of acquiring a customer there and then! Customer psychology plays an imperative role in influencing buyer decisions. When a user searches for keywords pertaining to your brand and your business pops up in the first few results, a user is more likely to click on these search results, instinctively labelling your brand more established than the ones that appear lower in this list. You may undermine this, but you can try it out for yourself! Upon a search, a user tends to think if Google considers these brands relevant and useful, they must be. How often do you go to page number 2, 3 or 4? Almost never! Hence, it establishes that Search engine optimised posts are considered more credible by the general user. Moreover, linking is another way through which your brand can gain the trust and credibility of the customers for initial or repeat purchases. There are countless results produced upon the search. A user would be more likely to lend credibility to the top searches instead of going to page number 2 even, let alone 3 and so on. If you’re running a business, you must be aware of the dire importance of sales or marketing funnels. Basically, a marketing funnel will garner clicks for your website and convert these into paying customers. In order to make this possible, SEO strategies work really well. Generally, marketing funnels are characterised by the following steps: awareness, interest, consideration, purchase and then loyalty or advocacy. Let’s go through these steps exploring the effect of SEO services at each stage. As mentioned above, keyword rich content creates awareness for you brand, resulting in users clicking on your website. Customers at the middle of the funnel are extremely valuable and their interest can be maintained through long tail keywords, landing pages and optimised blog posts. Once the purchase has been made, linking to your social media pages can help in nurturing customer relations, paving the way for customer loyalty and advocacy! We cannot stress upon the importance of the internet in making purchases. Statistics prove that many purchases are carried out in an impulse through a random internet search. As a result, does your business really want to miss the bulk of the market share reserved by search engines? Google alone boasts of a 65.2% share of web searches worldwide and there exist many other search engines as well! As a result, it is safe to state that having Google friendly keyword embedded within your content is pertinent to target consumers where they exist in bulk. Moreover, since social media has also become a norm these days, having accounts on these sites as well as linking to these pages is inevitably going to enhance your sales. So much so, searching online might be the new window shopping! The image explains the power of digital media in comparison to traditional media like TV. You might not like traffic on the road, but you love it for your business! The more clicks and visits you get on your website, the greater the amount of traffic you’re generating. Web traffic is essential for business as it creates awareness, interest and can even end up in a purchase. What more can a business want? An ideal way brands are acquiring traffic is through the targeted marketing strategy of SEO. Think of the web as a busy shopping street. Thousands of customers come every day but what will make them choose your shop out of the hundreds of others? Perhaps a catchy name, an attractive tagline or the number of consumers in your shop? The same rule applies to web traffic and SEO. SEO allows you to create an appealing description of your brand, known as Meta description, which sums up what your business has to offer. You have the power to make it as convincing as possible. You have the power to embed the right keywords so your brand ranks higher on search engines, attracting grater traffic. When more people will click on your brand due to greater visibility and legitimacy, sales revenue is bound to shoot up. Boost your rankings and web traffic through the power of SEO! Return on Investment (ROI) measures the loss or gain in relation to the money invested. With SEO services, ROI is bound to be higher than traditional means of marketing. There are a number of reasons behind this assertion. Firstly, as mentioned before, SEO is a much more targeted strategy which increases the likelihood of attaining sales revenue on the effort and money expended. Since your business is already targeting people who have an interest in relevant products, the cost being spent is more likely to product qualified sales. Secondly, you’re only convincing the customer why to choose your brand as opposed to why they need that product at all, saving money and increasing chances of a conversion. Lastly, you aren’t losing out on customers with your pesky advertising. Instead of interrupting their TV show or taking up reading space, SEO targets people who are proactively searching for brands like yours, thereby garnering greater ROI. SEO allows you to gauge its effectiveness in real time! 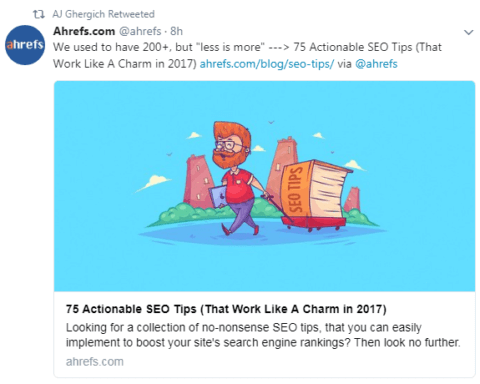 One way to do this is through SEO audit. SEO audit allows you to evaluate your website’s compatibility with search engines. SEO audit tests a number of factors to devise how optimised your website is in comparison to that of competitors. This lends businesses the right direction to take in order to increase sales revenue and SEO market share. 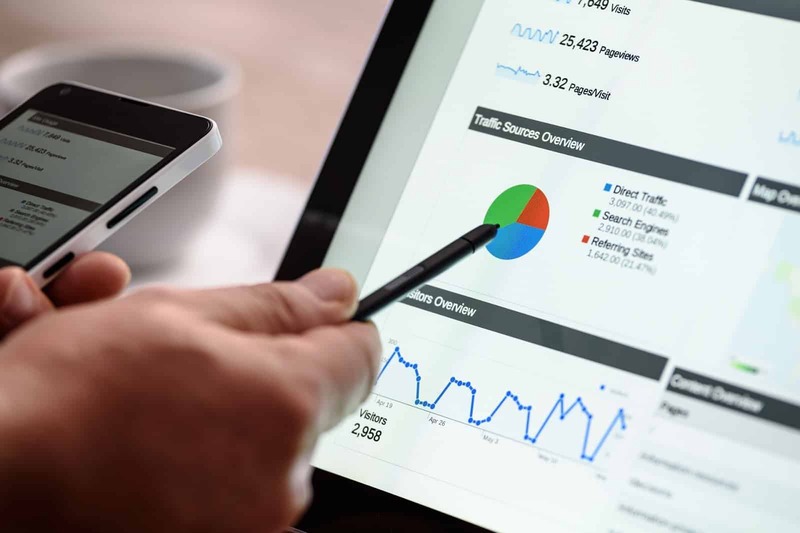 Once SEO services have been applied, you can even test their effectiveness through Google Analytics which monitors the amount of web traffic your website is generating. 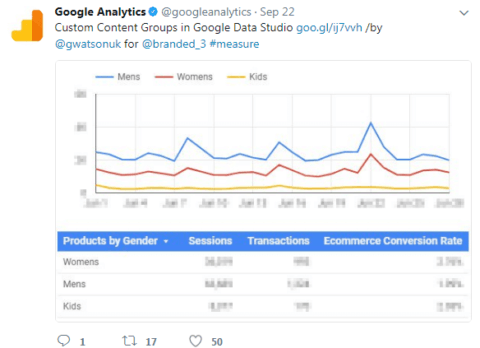 This data is extremely valuable as it gives you deeper insight into what customers want, what they like and what didn’t work. This allows you to make more well informed decisions and devise a more viable strategy to attain more qualified leads and sales revenue! Google Analytics allows you to gauge your performance and make relevant amendments. For all those who deem SEO services extinct, the rate at which search engines are developing and the ever increasing popularity of Google says otherwise-by a notch! When the digital era has seen a drastic shift from personalised shopping to internet shopping, SEO services are very much relevant. With the inculcation of smart phones, the relevance and need for local SEO services has exacerbated. In light of the numerable and extensive reasons listed above, a thriving business can not afford to skimp out on this valuable digital marketing tool. When all your competitors are vying for the greatest SEO market share, you sure don’t want to lag behind! Check out the best SEO agencies in Melbourne and ace your digital marketing game. And if you’re stumped on the best company to choose, see which one pops up higher in your search engine?